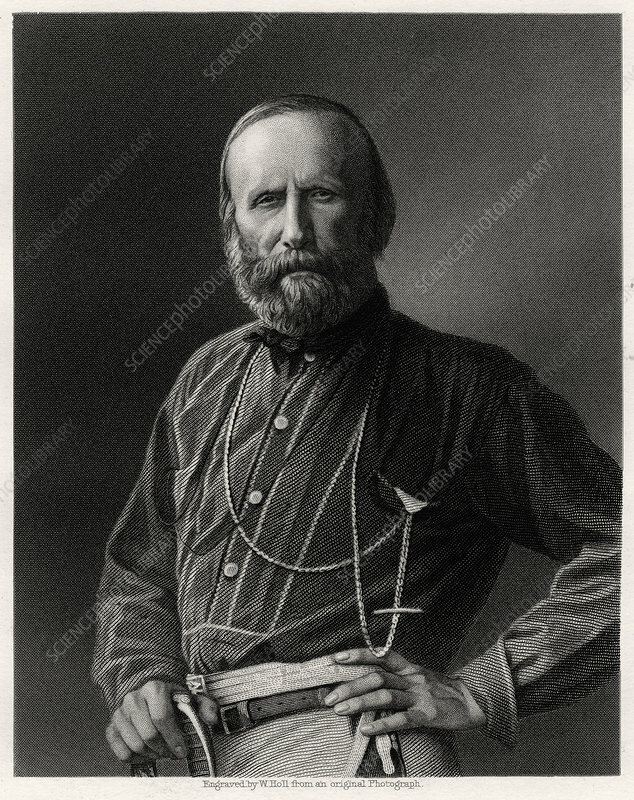 Giuseppe Garibaldi, Italian patriot, 19th century. Leading his 1,000 Red Shirts, Garibaldi (1807-1882) conquered Sicily and Naples. Artist: W Holl.